Yet, is mathematics truly a language, like English or Chinese? To answer the question, it helps to know what language is and how the vocabulary and grammar of mathematics is used to construct sentences. There are multiple definitions of "language." A language may be a system of words or codes used within a discipline. Language may refer to a system of communication using symbols or sounds. Linguist Noam Chomsky defines language as a set of sentences constructed using a finite set of elements. Some linguists believe language should be able to represent events and abstract concepts. There must be a vocabulary of words or symbols. Meaning must be attached to the words or symbols. A language employs grammar, which is a set of rules that outline how vocabulary is used. A syntax organizes symbols into linear structures or propositions. A narrative or discourse consists of strings of syntatic propositions. There must be (or have been) a group of people who use and understand the symbols. Mathematics meets all of these requirements. The symbols, their meanings, syntax, and grammar are the same throughout the world. 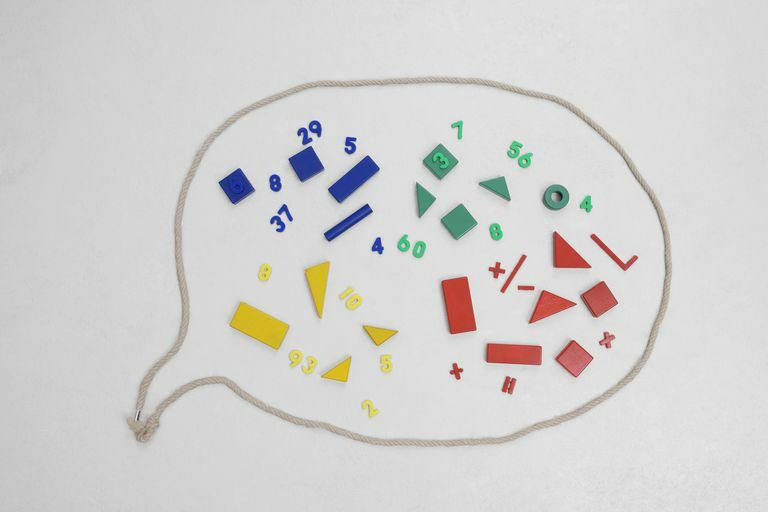 Mathematicians, scientists, and others use math to communicate concepts. Mathematics describes itself (a field called metamathematics), real-world phenomena, and abstract concepts. could be stated as, "Three added to five equals eight." If you try to perform a sentence diagram on a mathematical sentence, you'll find infinitives, conjunctions, adjectives, etc. As in other languages, the role played by a symbol depends on its context. Mathematics grammar and syntax, like vocabulary, are international. No matter what country you're from or what language you speak, the structure of the mathematical language is the same. Formulas are read from left to right. The Latin alphabet is used for parameters and variables. To some extent, the Greek alphabet is also used. Integers are usually drawn from i, j, k, l, m, n. Real numbers are represented by a, b, c, α, β, γ. Complex numbers are indicated by w and z. Unknowns are x, y, z. Names of functions are usually f, g, h.
The Greek alphabet is used to represent specific concepts. For example, λ is used to indicate wavelength and ρ means density. Parentheses and brackets indicate the order in which the symbols interact. The way functions, integrals, and derivatives are phrased is uniform. Understanding how mathematical sentences work is helpful when teaching or learning math. Students often find numbers and symbols intimidating, so putting an equation into a familiar language makes the subject more approachable. Basically, it's like translating a foreign language into a known one. While students typically dislike word problems, extracting the nouns, verbs, and modifiers from a spoken/written language and translating them into a mathematical equation is a valuable skill to have. Word problems improve comprehension and increase problem-solving skills. Because mathematics is the same all over the world, math can act as a universal language. A phrase or formula has the same meaning, regardless of other language that accompanies it. In this way, math helps people learn and communicate, even if other communication barriers exist. Not everyone agrees that mathematics is a language. Some definitions of "language" describe it as a spoken form of communication. Mathematics is a written form of communication. While it may be easy to read a simple addition statement aloud (e.g., 1 + 1 = 2), it's much harder to read other equations aloud (e.g., Maxwell's equations). Also, the spoken statements would be rendered in the speaker's native language, not a universal tongue. However, sign language would also be disqualified based on this criterion. Most linguists accept sign language as a true language. In order to be considered a language, a system of communication must have vocabulary, grammar, syntax, and people who use and understand it. Mathematics meets this definition of a language. Linguists who don't consider math a language cite its use as a written rather than spoken form of communication. Math is a universal language. The symbols and organization to form equations are the same in every country of the world. Alan Ford & F. David Peat (1988), The Role of Language in Science, Foundations of Physics Vol 18. Galileo Galilei, Il Saggiatore (in Italian) (Rome, 1623); The Assayer, English trans. Stillman Drake and C. D. O'Malley, in The Controversy on the Comets of 1618 (University of Pennsylvania Press, 1960). Klima, Edward S.; & Bellugi, Ursula. (1979). The signs of language. Cambridge, MA: Harvard University Press.